1 in. Double-Ply Nylon Standard Dog Collar - #115N. $7.99. This is the fourth collar I have purchased over the years. They are the best on the market in my opinion!!! Love these collars. They are sturdy and fit the dogs very well. Also, like the idea of the information on the permanent brass plate. Excellent quality. Extremely durable + a free name tag! Thanks!!! "Great product with FAST SHIPPING!!" Great product with FAST SHIPPING!! The collars are great. Thank you. "It is sturdy and works great." This is the only collar that I buy for my Labs. It is sturdy and works great. Couldn't be happier. I have been buying this same collar for various dogs for 8 years. Indestructible. Really a super product for a great price. Always top notch quality. Fast and friendly service. We will continue to shop here!! "I hope my dogs are as durable as the collars." I hope my dogs are as durable as the collars. "Great collar at a terrific price, and a free name tag as well." Great collar at a terrific price, and a free name tag as well. What a deal! "Perfectly done with tag and size." Perfectly done with tag and size. Will be ordering more when needed. Highly recommend this to anyone for dog comfort and identification. Thanks Steve! "A little bigger than what I measured his neck at, but overall really good collar." A little bigger than what I measured his neck at, but overall really good collar. "The collars that I got from you guys are very good quality." The collars that I got from you guys are very good quality. I will tell all my friends about your products. Thanks again. 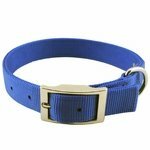 "I am impressed with the quality of my collars for the price. " I am impressed with the quality of my collars for the price. I was very pleased with my overall experience from ordering to receiving. I will highly recommend this company. "Good collar and fast shipping." Good collar and fast shipping. "Very pleased with both the quality and the price." Very pleased with both the quality and the price. "Really sturdy. Just what I wanted." Really sturdy. Just what I wanted. "Can't beat the price and quality!" Can't beat the price and quality! And the free name plate is a steal! "They last and keep their color longer than the ones covered in plastic." They last and keep their color longer than the ones covered in plastic. Love the collar. Good, heavy duty, and turn around time was super fast. "Very happy with your customer service." Very happy with your customer service. Last time I made a comment about receiving the collars within the right size but the wrong collar, and you resent the items immediately. Outstanding. I love your products. "The shipping costs as much as the collar, but even so, with the custom tag, it's a great deal." This is the 3rd or 4th collar I've bought, not because they wear out, but for size increase & multiple dogs. The shipping costs as much as the collar, but even so, with the custom tag, it's a great deal. Built & shipped very promptly. 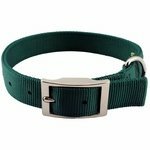 Durable and stylish collars. We get compliments on it all the time. Good price for a quality product. Holding up nice. Great collar for a great price. Love the built in name tag. Pit bulls and lab. Family pet. Fits the dogs well and looks great ! "Looks great on the dog." Bought the collar for my Springer Spaniel. It's a very high quality collar and looks great on the dog. I really like the nameplate on it also. 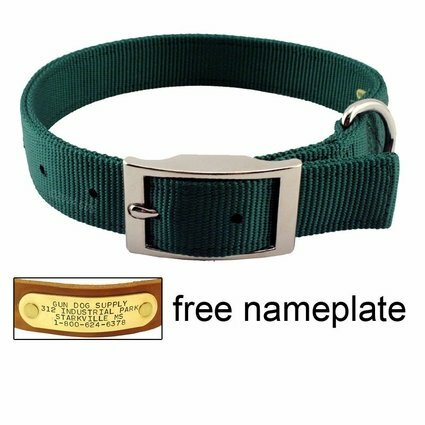 Fantastic deal on an indestructible collar with a classy brass personalized name tag. I use them for all 4 dogs and also our pet goat. I love them! We have ordered these collars in the past. We absolutely love them. Highly recommended. They are perfect. They look great and are extremely durable. My dogs play rough and have wrecked quite a few other collars but they have not been able to even scratch these. We are extremely pleased and recommend these to everyone. Also, I don't think there is a better value to be found. The collar is fine. The riveted name tag ripped off the previous single nylon collar. We'll need a year or so to see if the riveted name tag stays on this collar. Very good product at a fair price. The customer service is awesome and could not believe I received my order in such a short time. I will most certainly tell all my friends and do more business here in the future. We've used these collars for all our dogs from puppies to full grown. They outgrow them but they never out wear them. Perfect for the muddy, rough, and tumble life on our farm. "This is a wonderful collar!" This is a wonderful collar! I especially love the free customized contact plate. Our dog had one of your collars previously which is still going strong, even after many washes. However, we moved, so decided to order an new collar with our new contact info on the nameplate. Thank you! "Better than anything I could find in the stores." Better than anything I could find in the stores and cheaper too. Great delivery too. Would recommend. Only thing I wish had more colors to pick from. Especially for female dogs. These collars are the best available any where. Double ply with excellent hardware at an outstanding price. Shipping was super fast. This quality type of collar is not available at any location that I have looked. The how to measure and pick the proper size for your dog feature is also appreciated. Thank you. I received my order quickly. I'm very happy with the product. I love how the name plate looks. My dogs are both 2 years old, and they like to grab each other's collars. So far not a single fray...woohoo! "Great collars that hold up to the test of time." Great collars that hold up to the test of time. I've had these collars on our working dogs for well over three seasons, and they still look great. Very secure and attractive. A great value. As always your collars are great! "I am very pleased with everything Gun Dog Supply has to offer." 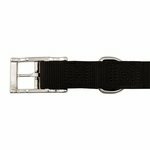 I wish this collar came with the band that secures the excess hang off like the treated nylon Dee-End Collar #1672 that I ordered. Other than that it is a great collar, and I am very pleased with everything Gun Dog Supply has to offer. I will continue to order my dog supplies from here. "Nice stiff collar. Everything as expected." Nice stiff collar. Everything as expected. I really like the option for a free nameplate. Hopefully a version with brass hardware will be added in the future. "Totally happy with this product." Totally happy with this product. 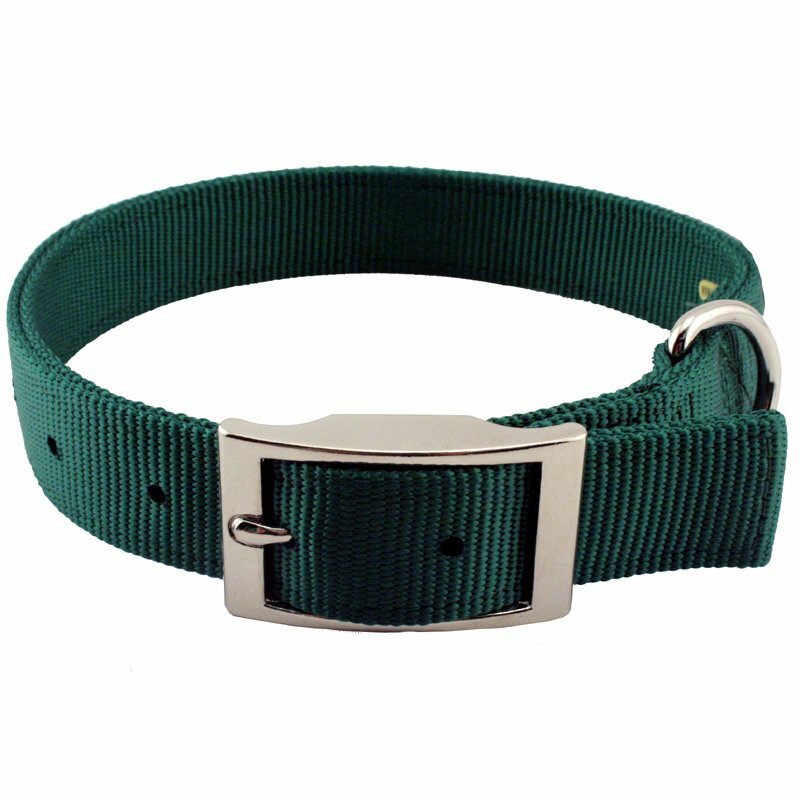 Bought three collars, red, black and green. "I wouldn't change to any other collar!" This is the collar I always order. It's tough and works well for our retrievers. I wouldn't change to any other collar! "Always satisfied with quality and prompt service"
I have been ordering my dog collars from Gun Dog Supply for years. Always satisfied with quality and prompt service, and I always recommend you to other people. Really like the collar. I have one dog that the smallest collar is too large for. How about making a smaller version? "Great dog collar - no complaints." Great dog collar - no complaints. All of the materials and hardware are sturdy which makes me feel like it will last. Very happy with the purchase. "Very good quality at a very affordable price." Will last for years. Very good quality at a very affordable price. "Very good quality, and fast shipment, even with the personalization." Very good quality, and fast shipment, even with the personalization. Price with shipping is close to what I'd pay locally. This is my 4th or 5th collar from GDS. "Great quality and FAST service!" Great quality and FAST service! Would recommend to anyone; doing so to my son today. Well made. Plate is stamped very legibly. Thanks. "Price was awesome. 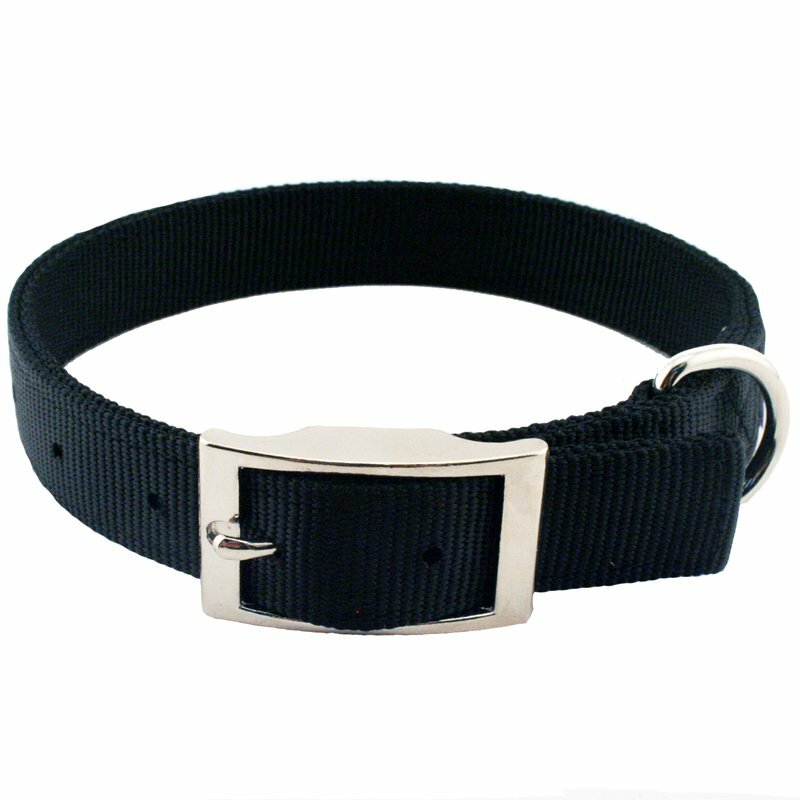 Collar is extremely durable and exactly what I was looking for." Price was awesome. Collar is extremely durable and exactly what I was looking for. They made and shipped it within the same day as well. Absolutely incredible. You definitely don't find many places like this anymore. I will be ordering again! "The double ply is exactly what I needed." The double ply is exactly what I needed. Very sturdy for my enthusiastic 7 month old puppy. Love the hunter green color. It is great. Not too heavy, but durable. Also, I have received compliments on the collar. "This collar was bought for our grandson's giant St. Bernard that weights over 200 lbs." 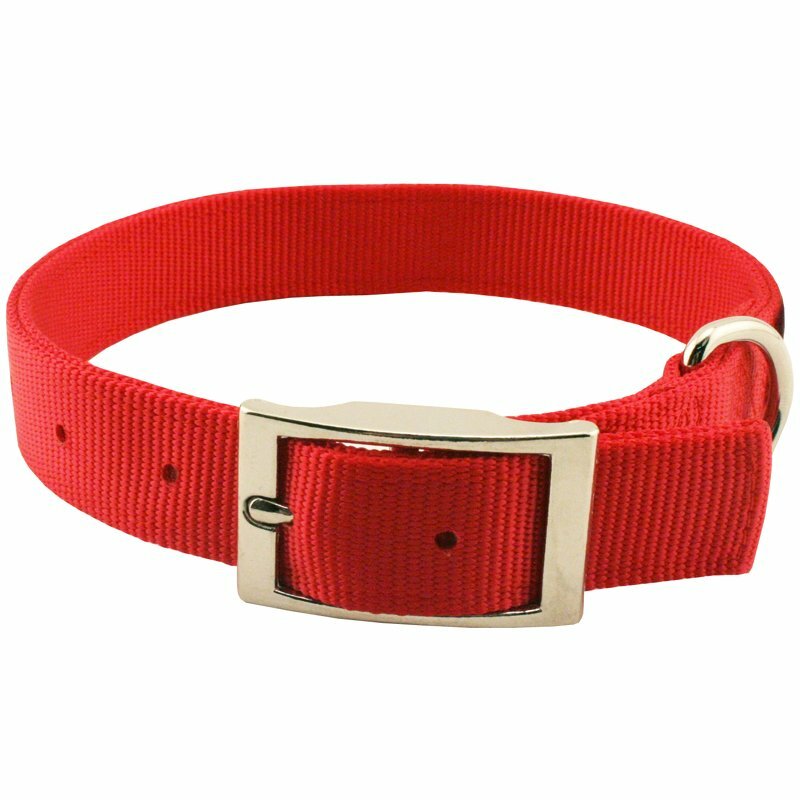 This collar was bought for our grandson's giant St. Bernard that weights over 200 lbs. Beautiful collar. Fast Delivery. Love it!! Great collars. Wear well. Good ID tags. Fast shipping. Always happy with purchases I make from Gun Dog Supply. "This purchase from GDS was as effortless and flawless as previous purchases." This purchase from GDS was as effortless and flawless as previous purchases. Had to buy another collar only because my 60 lb puppy outgrew the first one; will be saving the first one for future puppies as it's still in like-new condition. Love having the name plate already engraved and attached. Thanks for great products, excellent prices and fast, friendly service. 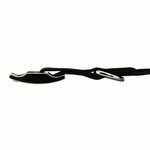 "They look great on our dogs & feel very durable." I especially love that it's available with engraved nameplates. 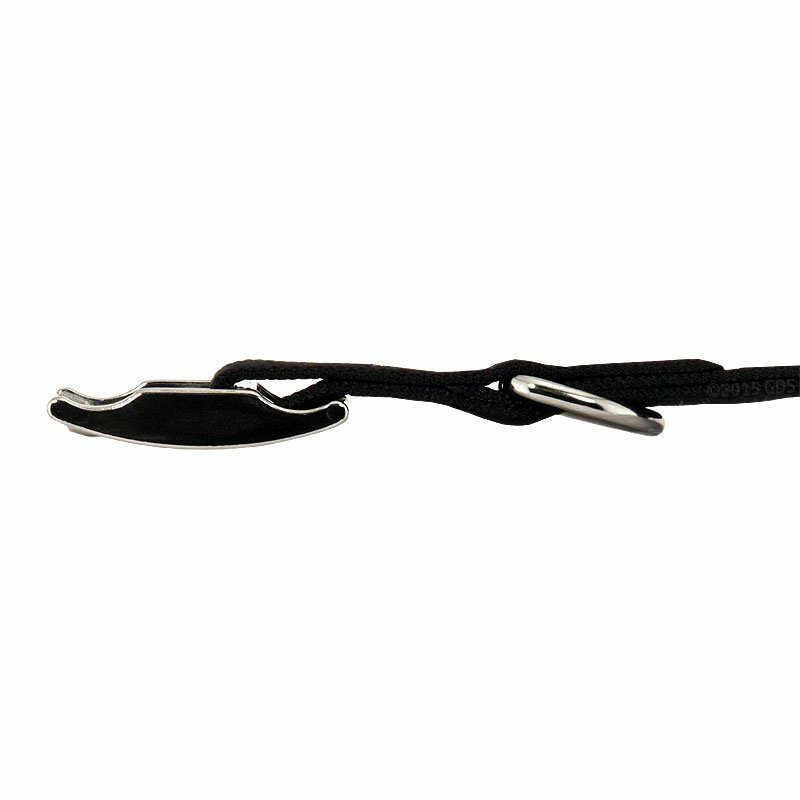 They look great on our dogs & feel very durable. 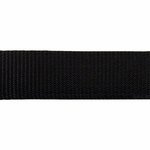 "It is an excellent collar"
"Fast service and good quality"
"It looks great and does not slip around"
"This is the greatest collar I have ever bought." This is the greatest collar I have ever bought. They last for a very long time, look amazing and the flat tag is super durable and cuts down on annoying jingling. The only reason I have ever had to replace the collar is because of a move! Great little collar. Tough and durable. Excellent customer service, as I have come to expect. "High quality product for great price." High quality product for great price. Also their customer service can't be beat! Will definitely buy from this company again! "Once again, I received it in record time." Once again, I received it in record time. So well made for my ever growing pup. 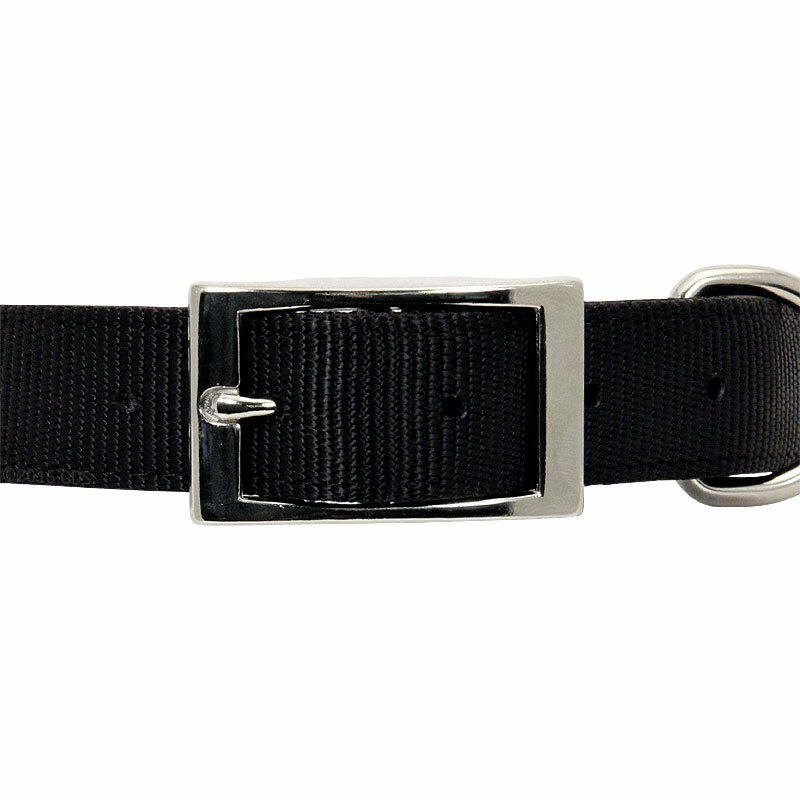 "Great collar for the price with included engraved plate." 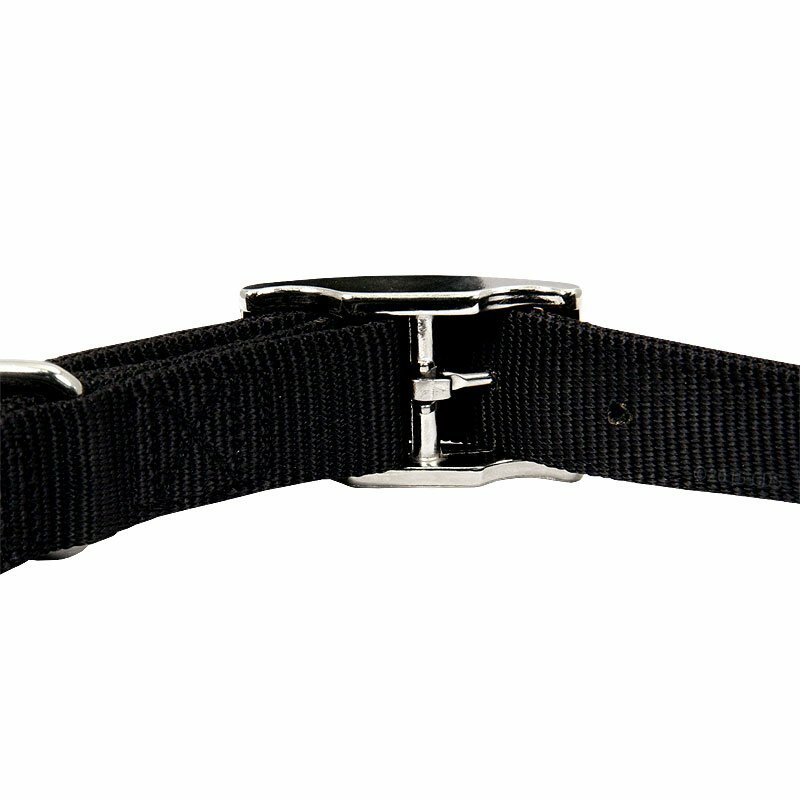 Great collar for the price with included engraved plate. "One of the greatest collars I've bought yet"
One of the greatest collars I've bought yet, especially with the name plate attached. I will order more (need more colors offered though). A good value, especially with the free nameplate. "The price and quality are excellent!" It's exactly what I was looking for. The price and quality are excellent! I WILL order again from Gun Dog Supply. We've gotten several compliments on the collar and asked where we got it. Shipping was quick as well. Thanks!! "This is the collar I always order." This is the collar I always order. It lasts and has a brass plate with names and phone numbers. I would not switch to another collar. "Personalized name tags are a must, and look good too." I have 3 large dogs. Collars are great quality. Personalized name tags are a must, and look good too. Would highly recommend this site to everyone who loves animals! Durable. Great quality for the price! Love the collar. Inexpensive and very durable in the field. So well made. Very thick canvas. Received before the promised ship day. It was only a few days. Definitely order from them again. 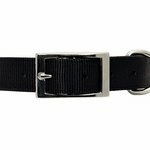 "Very good quality collar at a good price." 1 golden retriever & 1 boxer. Family pet. Very good quality collar at a good price. Very fast shipping. Will always do business with GunDogSupply in the future. Collars are great and the nameplate is a bonus. "I don't know you sent the wrong size and I ordered 18 to 22 inch and you sent 26 inch." I don't know you sent the wrong size and I ordered 18 to 22 inch and you sent 26 inch. Good quality collar. Love being able to have a name tag riveted on the collar. "They're fantastic quality and everyone who sees them loves them!" This is the second collar I've gotten for our dog from you guys. They're fantastic quality and everyone who sees them loves them! "Love this collar and keep coming back for more." Love this collar and keep coming back for more. Excellent value for the money! Would buy again. "Love it and highly recommend it." Amazing quality, and the printing on the tag is clearly read and fastened to the collar in a way that won't snag on stuff. Love it and highly recommend it. I would give it an excellent rating, but it was a little short for our dog. It was advertised as a 23 inch collar, but was shorter than we expected when we put it on our dog. The tape measure showed it at 22 inch. That extra inch would have been perfect. "I would like to see you offer a nylon collar that has a center ring, as well as the standard ring that this collar has." 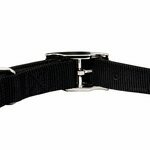 I would like to see you offer a nylon collar that has a center ring, as well as the standard ring that this collar has. "Rivet on one collar fell out. Other than that, good." Rivet on one collar fell out. Other than that, good. The collars were a little bigger than the size chart indicated, but work just fine. "It is a good pet collar and the name tag is excellent." Meets requirements. Wish it would have been available in red or burgundy. It is a good pet collar and the name tag is excellent. "The collar is great quality!" "It was easy to purchase at a good price"
It was easy to purchase at a good price, with reasonable delivery time, good quality, and decent appearance. The only thing I could ask for might be to have the nameplates available in something like stainless steel. I have these collars on all of my beagles while they are in the pen during the year with name plates on them. Collar itself is fine, but adjustment holes are too far apart. Collar fit is either way too big or way too small. Premium double-ply nylon webbing with nylon stitching and flat profile nickel-plated K-9 buckle. Available in red, blue, green or black. 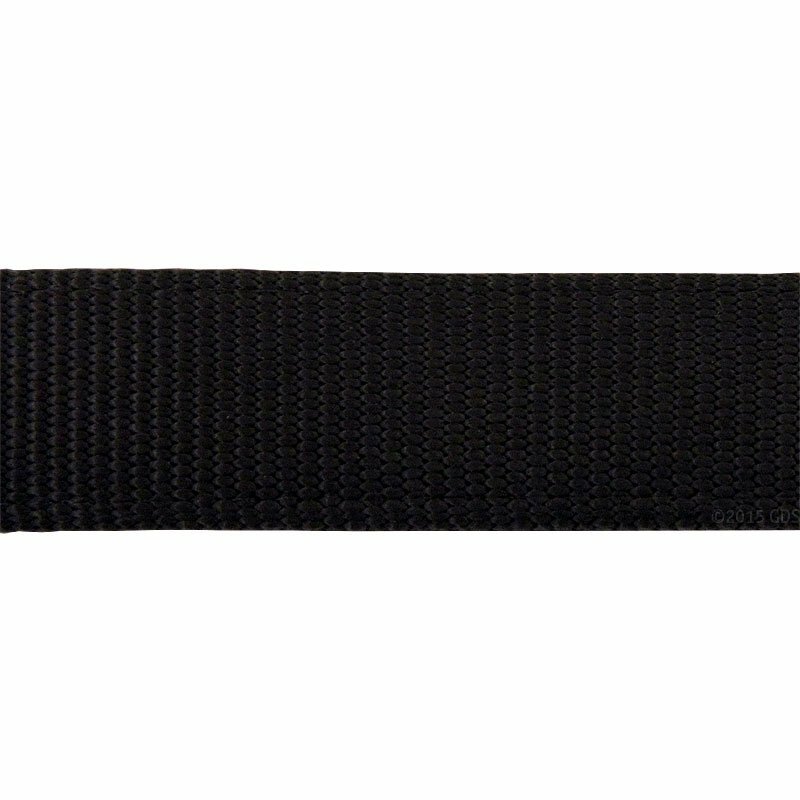 These collars are softer and are less durable than our "Field Grade" Nylon Collars. 1 inch wide.